Stanley Chia-Ming Dodds was born in Canada, grew up in Australia and as a dual German-Australian citizen is now based in Berlin. He began playin violin and piano in Adelaide at age four, attended the Bruckner Conservatorium and Musik High School in Linz before studying violin and conducting at Lucerne Conservatorium. He continued violin studies at the Karajan Academy of the Berlin Philharmonic before receiving tenure as a violinist in the orchestra in 1994. He studied conducting in Australia, Switzerland and Germany, his most important mentor being the acclaimed Finnish professor Jorma Panula. Other important influences on his conducting career have been the chief conductors of the Berlin Philharmonic, Claudio Abbado and Sir Simon Rattle. Stanley Dodds performs regularly at the principal concert venues in Berlin. He frequently conducts ensembles of the Berlin Philharmonic and has assisted Sir Simon Rattle on numerous occasions. 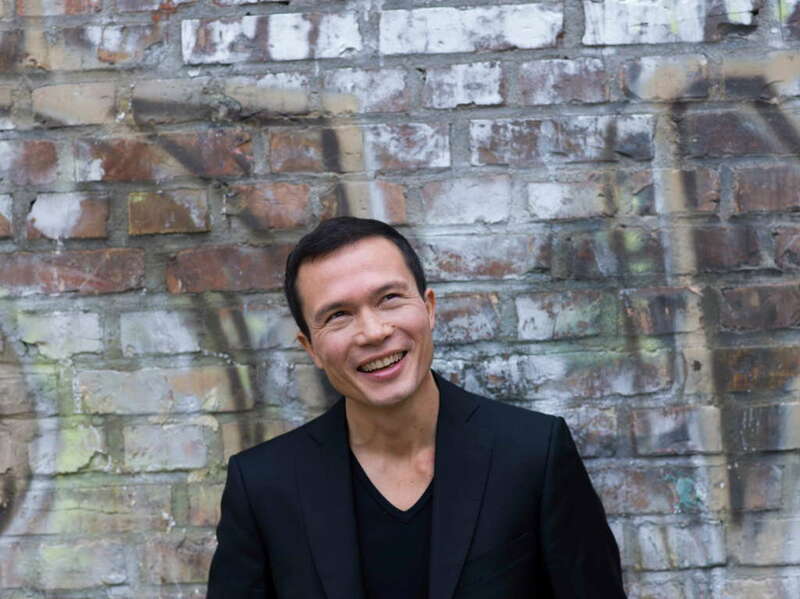 Soloists in his concerts include many noted principals of the Berlin Philharmonic and singers such as Christine Schäfer, Anna Prohaska, Siobhan Stagg, Katarina Karnéus, Michael Nagy and Shenyang. Stanley Dodds was appointed Principal Conductor of the Berlin Symphony Orchestra commencing 2014/2015 with nine sold-out concerts each season in the Berlin Philharmonie including the annual New Year's Gala concert. A Beethoven cycle is planned for the upcoming season 2017/2018, with the nine symphonies, all instrumental concertos and seven overtures. One of the highlights of his 2016 season is the invitation to conduct a concert with the Australian World Orchestra. Inaugurated in 2011 the orchestra annually brings together Australia's successful classical musicians from around the world, including members of the Berlin Philharmonic and Vienna Philharmonic, the Chicago Symphony Orchestra and London Symphony Orchestra, amongst many others. Previous conductors have been Simone Young, Alexander Briger, Zubin Mehta and Sir Simon Rattle. Current guest invitations include the Hamburger Symphoniker, Sendai Philharmonic, Neubrandenburger Philharmonie, Istanbul State Symphony Orchestra, Beijing Symphony Orchestra, and Canberra Symphony. Past guest conductor appearances include the Orchestre Philharmonique Luxembourg, Melbourne Symphony Orchestra, Jena Philharmonic, Tasmanian Symphony Orchestra, Orchestra I Pomeriggi Musicale Milano, Orchestra Academy Scholars of the Berlin Philharmonic and the Scharoun Ensemble Berlin. He appears at major Festivals in Salzburg and Baden-Baden, at the MaerzMusik in Berlin and the Summer Festival in Mecklenburg Western Pomerania. His repertoire embraces the core symphonic works of the 19th and early 20th century and he is a keen proponent of contemporary music with numerous works premiered under his direction. He is dedicated to working with youth and amateur orchestras, directing for many years the Berliner Sibelius Orchestra and Schöneberg Symphony Orchestra. He is artistic director of the State Youth Orchestra of Mecklenburg Western Pomerania, the Youth Orchestra Festival in Neubrandenburg and is in charge of the Schools Orchestra Concert and Youth Composition Workshop of the Berlin Philharmonic. On the occasion of the Berliner Philharmoniker's annual 2017 European concert in Pafos he initiated a bi-communal orchestra project, conducting young musicians from the entire island of Cyprus together with members of the Berliner Philharmoniker, in a gesture of the universal language of music. As a member of the Berlin Philharmonic executive board his management portfolio includes media rights and the development of digital streaming and communications platforms. Stanley Dodds is represented worldwide by Tanja Dorn at Dorn Music. This approved biography is not to be altered or shortened without the management’s permission.